“Not a year has passed without hunger in Iraq,” wrote the great Iraqi poet al-Sayyab (1926–1964) more than half a century ago in his memorable poem “Rainsong.” Now, many years and many wars later, there is hunger aplenty. Were he alive today, al-Sayyab would have expressed nothing short of horror at the massive hunger in the “new” Iraq, especially when considering the obscene wealth that has been and is still being plundered and squandered by its rulers. 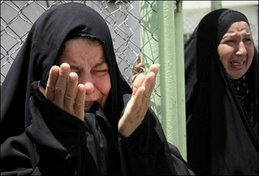 One in six Iraqis live in poverty. This is in a nation with the second highest oil reserves in the world and a budget surplus of more than fifty billion US dollars in 2011. 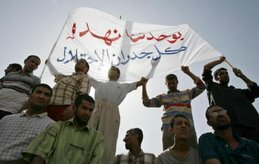 According to Transparency International, Iraq has one of the most corrupt governments in the world. Some of the wealth stays inside the country and is spread among the beneficiaries and clients of the new political elite. Much of it, however, is transferred outside and translated into real estate or other assets, or is often hard to trace. Not a year has passed without plunder in Iraq. The villains are not only or always Iraqis and the stolen money is not US taxpayer money. At least eighteen billion US dollars from Iraq’s frozen assets in the United States and from the surplus of the United Nations (UN) Oil-for-Food Program was sent from the Federal Reserve Currency Repository in New Jersey to Iraq right after the war. 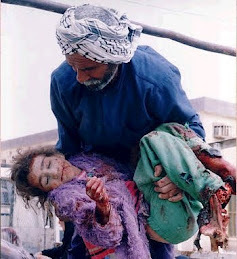 It was slated for the so-called Iraq Development Fund (IDF) during L. Paul Bremmer’s reign. All of that is now missing and there is not a single piece of paper to account for it or explain its whereabouts. Aside from the monstrous US embassy in Baghdad, the Iraq Reconstruction has nothing to show. 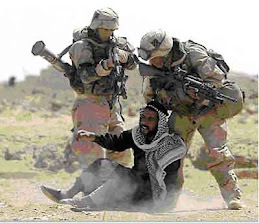 The executive summary of the Congressional Commission on Wartime Contracting in Iraq and Afghanistan stated in its August 2011 report that “at least 31 US billion dollars, and possibly as much as 60 US billion dollars, have been lost to contract waste and fraud” in both countries. Perhaps this is what Fouad Ajami had in mind when he described the invasion and occupation of Iraq as an “acquisition.” The plunder has not been limited to paper money. 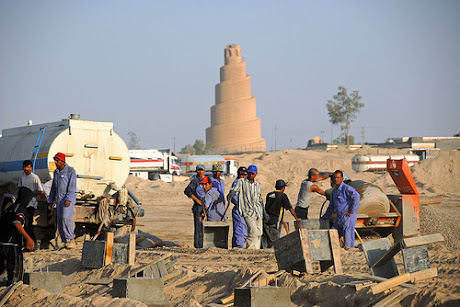 Scholars have documented the pillaging of Iraq’s ancient and modern cultural heritage immediately after the invasion of 2003. Some have called it a form of “cultural cleansing.” Every now and then we read “happy stories” about some of these stolen artifacts being found in the United States and returned to Iraq. But much remains missing. It is not only precious artifacts and relics from Iraq’s ancient history that were smuggled to the United States. The United States pillaged millions of documents belonging to the Iraqi state. Another important collection of official records was seized by an Iraqi-American. The itinerary of this archive and the rhetoric legitimizing its “acquisition” is quite telling. In April 2003, Kanan Makiya, one of the cheerleaders of the war (during its first few weeks he wrote that the bombing was music to his ears) made his way to the basement under the Ba'th Party’s headquarters in Baghdad. Makiya removed the records he found there to his family home in what became later the Green Zone. The house supposedly became the Baghdad office of the Iraq Memory Foundation, a Washington, DC-based institution he established. The entire staff of the Iraq Memory Foundation is comprised of five persons, two of whom are not Iraqi. It has no advisory board of any sort, nor does it have any links to any Iraqi historians. It has no presence on the ground in Iraq outside the Green Zone. In 2005, the foundation reached an agreement with the US army to ship the documents to the United States. These plundered documents are a treasure for scholars. They illuminate the inner dynamics of the Ba'th regime and trace its growth and detail its various visceral effects on Iraqi society. But, alas, neither Iraqi scholars, nor Iraqi citizens, the victims of the Ba'th regime, have access to these important documents from their visceral past. One of the “happy” stories about the benefits of this plunder to “our knowledge” speaks about the intensity with which some scholars are working on these “recovered” documents. “Recovered” is the key word here. The plunder is conveniently erased. But not for Iraqis. They have to live with the loss and fight to retrieve their plundered memory. And not a year has passed without plunder in Iraq. As for the concerned scholars who mine this archive to “understand” the barbarism of the Ba'th regime, I wonder if they will find time to contemplate the "barbarism [that] taints the manner in which it was transmitted from one owner to another," to borrow Benjamin's words.